Quontic Bank is a community development financial institution (CDFI), a U.S. Treasury designation awarded to fewer than 2 percent of banks in the U.S. Such a mission yields many meaningful interactions, and Frank Melia, a certified mortgage planning specialist, vice president and senior lending/reverse manager for Quontic Bank, has such a story. In 2017, Melia helped a family secure a home equity conversion mortgage (HECM), an FHA-insured reverse mortgage, for their mother, who has Alzheimer’s. One of the woman’s four daughters had power of attorney and noted, with sadness, that she hadn’t been able to have a conversation with her mother in some time, because her mother simply didn’t talk anymore. “When I arrived at the mother’s home, however, she stood up, approached me and told me that she thought I was from Dancing with the Stars,” Melia says. Melia didn’t have to think twice. He put out his hand, she took it and they danced around the kitchen for about 15 or 20 seconds. He then helped her back to her chair. “The daughters were there and started crying because their mom hadn’t spoken in two years,” he says. The daughters told him that their mother had been a dancer as a young girl and had continued to love it throughout her life. “Something triggered her to speak to me, and it was pretty emotional. She was able to be her old self, even if just for a few seconds,” Melia says. And even after she sat back down, she continued to smile at Melia the whole time. 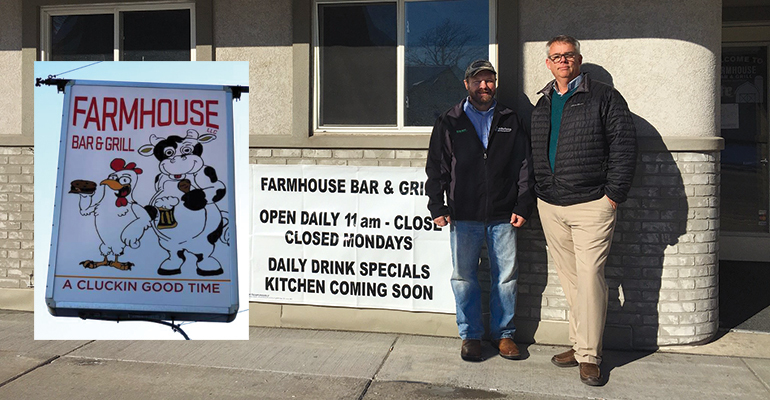 In preparation for the opening of Farmhouse Bar & Grill, Mike Hegnet (left) sought financial guidance from Tim Treml (right), CEO and president of Bank of Luxemburg. The success story that occurred for two customers of $356 million-asset Bank of Luxemburg in Luxemburg, Wis., simply would not have happened if they had been customers of a regional or national bank. That’s because those institutions wouldn’t have been able to strategically “connect the dots” the way that Bank of Luxemburg did, says Tim Treml, the community bank’s president and CEO. At the time, there was a bar and restaurant in town that happened to be on the market, which attracted the customer’s attention. When the customer sat down with Treml and others at the bank to discuss purchasing it, they saw his excitement and passion for the business. However, in reviewing his financial information, they saw he didn’t have sufficient capital to purchase the business and make a successful start. “The price was just unattainable for him,” Treml says. If he had been a customer of a regional or national bank, the story probably would have ended right there. But due to its deep community connections, Bank of Luxemburg’s lending team knew that one of its other customers who owned a different bar and restaurant in town was starting to think about getting out of the business—something no one else knew yet. Treml says this knowledge was due to the fact that good community banks often function as business advisors to their customers, since small-business owners usually don’t have access to many other consultants. “As a result, our small-business customers often confide a lot of their business plans with us,” he says. Bank of Luxemburg was able to get the two gentlemen together in a room to talk. “They both got along well with each other,” Treml says. The potential buyer spent a lot of time visiting the existing bar/restaurant, getting to know the clientele and learning how the business operated. The owner was also willing to share some financial information with him. In time, the sale happened, for about half the price of the original business that the customer had first looked at. “As such, it was much more financially feasible, and it allowed him sufficient capital to cover the first couple of months of operation,” Treml says. 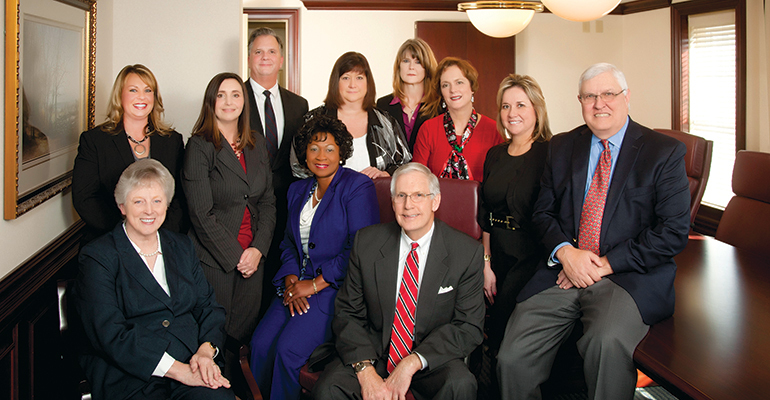 Heritage Bank covers the operating costs of the Heritage Community Foundation, whose board of directors includes several bank employees and executive director Mark Dose (far right). Community banks’ impact isn’t limited to the dreams they can make come true through loans. They also help their communities at large. As a result, the organization ended up depleting its reserves and fell into a dire financial situation. It faced the prospect of having to considerably scale back the clinic. “I realized that there had to be some organizations out there that could help us,” Moreland says. He visited a friend who was with the state’s Division of Family and Children Services, and who knew every organization that raised funds for groups like the clinic. The good news was that most of these organizations wanted to help. The bad news was that the help could not be immediate. “They showed us foot-tall stacks of papers with applications, vetting processes, etc., and told us that, if everything went well, we might be able to receive funding in a year or two,” Moreland says. This was a problem, given that the clinic needed to meet payroll the next month. “As a result, we ended up having to scale back the clinic,” he says. 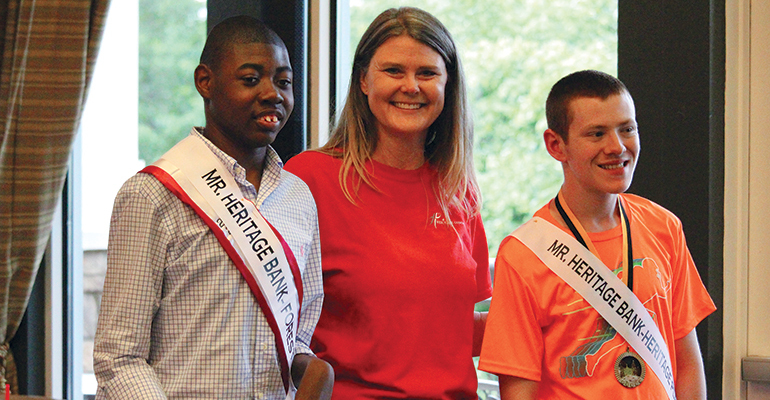 Jenny Smith, a board member of the Heritage Community Foundation, highlighted its involvement with HOPE Park, a nonprofit supporting children with special needs, at the 2018 Golf Classic. 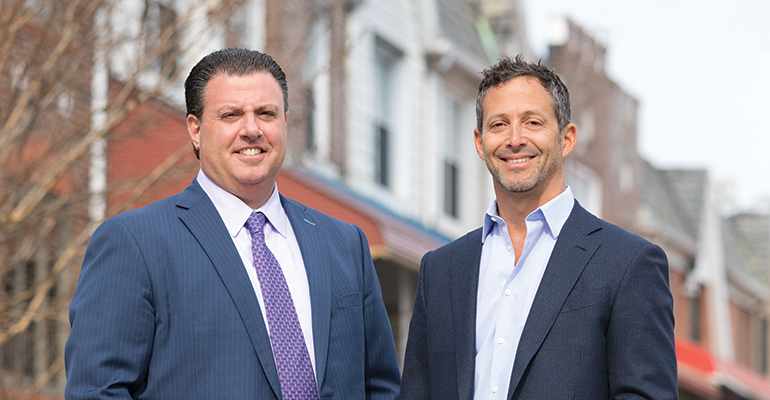 Moreland decided that he wanted to start his own foundation, one that wouldn’t deliver services but would use the bank’s brand as a way to generate attention, interest and money to provide grants to existing nonprofits. The Heritage Community Foundation launched in January 2015. The bank pays 100 percent of its operating costs, including its executive director’s salary. The next step was to create a board of directors made up of non-executive employees of the bank, including tellers, bookkeepers and loan officers. Moreland then reached out to the bank’s employees and asked if they would like to support the foundation through payroll deductions, and 100 percent of the employees agreed to do so. “Then, when word about the foundation started to get out into the community, a lot of people outside the bank wanted to get involved, so we created an opportunity for community partners to come in,” he says. “Most of these are corporations and small businesses that contribute to the foundation, sometimes directly and sometimes through payroll deductions of their own employees.” The foundation hosts a golf tournament and a clay shoot every year to raise additional funds. In 2015, the Heritage Community Foundation donated $72,400. That number grew to $96,200 in 2016 and $130,400 in 2017. This past year, it donated approximately $150,000, reaching a four-year total of nearly $500,000 in December. And, in that time, the foundation has provided grants to more than 100 nonprofits in the three counties that the bank serves. 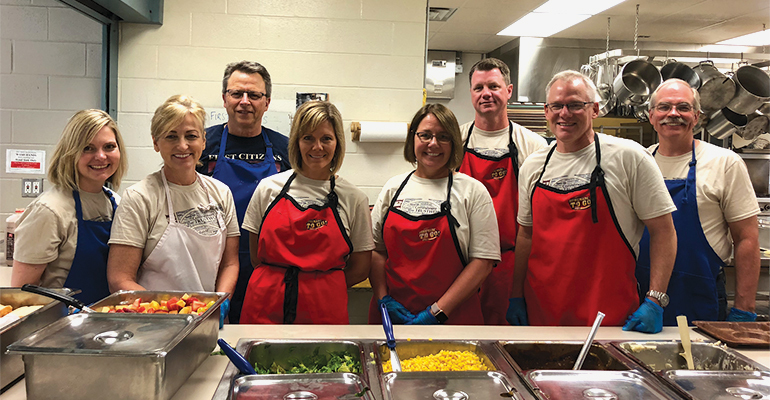 First Citizens Bank’s leadership team volunteered at Community Kitchen of North Iowa. The community bank allows employees to pick causes that are important to them to spend time volunteering. Giving back to the community can occur in ways other than financial, of course. Community bankers can also donate their time. “The governor of Iowa promoted the [Give Back Iowa Challenge] program to businesses in the state to build a sense of community, and we realized that we wanted to get involved,” says Dan McGuire, chief human resources officer for $1.2 billion-asset First Citizens Bank of Mason City, Iowa. Launched in 2015, the Give Back Iowa Challenge is designed to engage Iowans in employer-supported volunteering. “Volunteering not only has a significant impact on meeting community needs, but employer-supported volunteering has a positive impact on business, including strengthening employee engagement, organizational commitment, job satisfaction and retention,” its website notes. First Citizens Bank employees threw themselves into the challenge, winning the award for most employee hours donated among its category of medium-sized employers in 2016 and 2017, and small-sized employers in 2018. 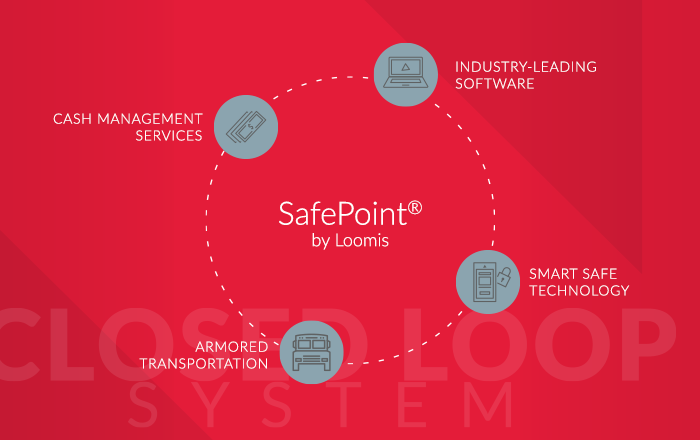 The honor is based on the total number of employees, with sizes from small to large, and covers all industries. During April and May 2018, First Citizens Bank employees volunteered 2,335 hours, an average of 11.3 hours per employee. “We allow employees to select causes that are important to them,” says Jon Prebeck, vice president of retail for the bank. Some volunteers spent their time cleaning up and fixing a dilapidated area around a high school. Others volunteered at a county museum. “The governor came and presented the award to our CEO in 2018,” Prebeck says. Gov. Kim Reynolds (center, in white top) presented an award to First Citizens Bank for donating the most staff hours among medium-sized companies during the Give Back Iowa Challenge. Sometimes, even small things that community banks do can make a big difference.